Caution: this is an exercise in ongoing Citizen research and journalism. Consider yourself inside the News Office. With some reports, verity is assured, with others, further corroboration or refutation must be done. Consider yourself also in the War Room. Suppositions and suspicions must also be considered and plans, preparations, and executions thereof made. The following December 7th report from SHTFplan.com, concerns a federal Request for Information (RFI) seeking contractors to fulfill positions for the maintenance of U.S. populations at FEMA camps (those which Jesse Ventura and others have shown, complete with steel fencing capped with razor wire tilted inward, toward the camps’ intended occupants, ostensibly to keep them inside). Apparently, the RFI response from large scale government contractor, KBR (formerly, Kellog Brown & Root) subsidiary of Halliburton, has become public. 1. 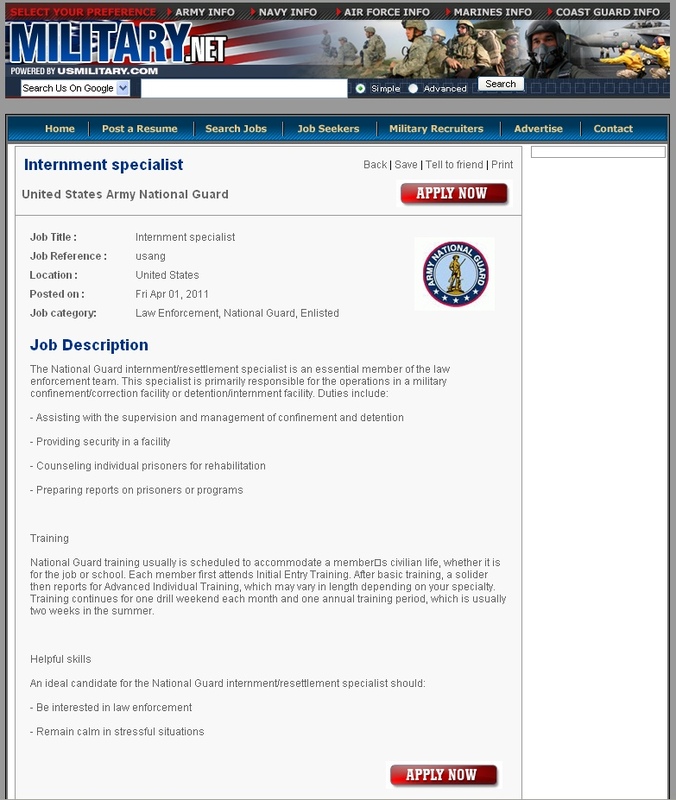 The roles in this RFI and KBR’s response are complimentary to those core United States Army National Guard Internment Specialist roles for which our federal government advertised in April of this year. The timing would seem “right” for such KBR roles to be established in support of them. 2. Obama’s policy of assassination of suspected terrorists, even if American Citizens is apparently being coupled with powers of indefinite detention for the same, by the new Defense Authorization Bill, though an attempt to make it even more expansive has been voted down. See, “Defense Authorization’s Unconstitutional Aggression upon Citizens; TruNews Radio Notes,” December 6, 2011, for more on this. 3. Is it inconceivable, for even a corrupt, neo-Marxist led instrument of controlling globalist elites who have historically supported Communist and Fascist regimes, to intern U.S. Citizens en masse in concentration camps? Keep in mind, the liaisons with not only authoritarian and totalitarian regimes abroad, but the apparently close friendship of the likes of American communist terrorist, William Charles (Bill) Ayers. Larry Grathwohl, undercover agent of the FBI who infiltrated Ayers’ Weather Underground of the early 1970′s has testified his people were considering the execution of up to twenty-five million Americans in their revolutionary conjectures, then settled with the idea that a large percentage of them could be placed in concentration camps, for re-education, communist-style, presumably, or else…. This article and net-radio interview with Mr. Grathwohl, one of the first I ever did, spell it out. (Disclosure: despite the blog of the time, “Investigating Obama” being assailed with apparent code pointing to a “.ru” site, effectuating the harassment of malware alerts, I know of no one whose computer has been affected and I still frequently visit, clicking through the chaff. ): “Jim Simpson on Bill Ayers & Bernardine Dohrn: ‘Guilty as Hell, Free as a Bird’ (for now) + Larry Grathwohl Interview,” March 22, 2009. Also, there is barely any excuse at this point, not to be aware of the likelihood of imminent economic crisis or collapse, intentional in the minds of many, and that would be a crisis too good to waste, for those who wish to take advantage, cause social turmoil, and seize further power. I’ve seen the survey given to Marines in 29 Palms, CA, about 52 questions long, with last 5 questions asking their opinion to submitting to UN foreign leadership within US and firing upon US citizens who refuse to turn-in their weapons. This was about 20 years ago. For the better part of two decades FEMA detention camps were believed to be a figment of tin foil hat wearing conspiracy theorists. As more information over the years has been made available through alternative news researchers like Alex Jones in his full length documentary Police State 4 and former governor Jesse Venutra’s FEMA camp exposé, it is becoming increasingly clear that the government has been taking steps for quite some time to ensure a rapid and effective response in the event of a national disaster or U.S. military deployment on American soil. As many of our readers know, the U.S. Senate recently passed the National Defense Authorization Act, which, it has been argued, authorizes the establishment of domestic war zones and the subsequent detention of those who are suspected of engaging in terrorist-related activity - including, arguably, U.S. citizens. What you may not know, however, is that just days after the passage of the act reports are surfacing that the Federal Emergency Management Agency, under the auspices of the Department of Homeland Security, is requisitioning private contractors to provide services for government, defense & infrastructure pertaining specifically to FEMA activities with respect to emergency services. At first glance, this may seem like no big deal. Why shouldn’t the government prepare for emergencies? -Kellogg, Brown and Root Services (KBR) is seeking subscontractors on a national basis to provide temporary camp services and facilities as part of its current and future emergency services contracts for the Federal Emergency Management Agency (FEMA), U.S. Army Corps of Engineers (USACE), and state/local government agencies. -The continental US will be broken up into five regions – Services will be required in each State within each region. -Establish services listed below within 72 hours for initial set-up and respond within 24 hours for incremental services. This is a CONTINGENCY PROJECT and it should be stressed that lead times will be short with critical requirements due to the nature of emergency responses. Subcontractors must be flexible and able to handle multiple, shifting priorities in an emergency environment. Supply lines needed must be short but not necessarily pre-positioned. -The personnel on site to be covered by these services will depend on the size and scope of the recovery effort, but for estimating purposes the camp will range in size from 301 to 2,000 persons for up to 30 days in length. For all intents and purposes, FEMA / DHS is now activating camps across the nation – in all 50 states – and ramping them up for detainment if and when the need arises. It seems that the US Government is preparing for a high volume of military prisoners. We suspect these will not be foreign nationals, as we either kill them or detain them outside of the USA. So, one must conclude that these corrections, interment and resettlement specialists will be supervising US citizens. The military is calling them internment camps or resettlement camps. Back in World War II they were called by a different name. As our colleague Sher Zieve has related, in 2009, on the eve of the 111th Congress and the Obama Administration, criminal Congressman, Alcee Hastings introduced HR 645, the National Emergency Centers Act, for establishing FEMA emergency centers on military bases throughout the country. It was treated like a rabid squirrel, received no other sponsors, and did not pass its committee. Executive Orders and internal covert operations having become what they are, it was likely regarded as unnecessary. Reader, be encouraged to click the links you find here, and in the “Category” and “Tag” links below at this article in Gualg Bound (especially “Militarism vs the People” and ” Failed State Strategy: America“) and those you find on the subsequent pages. By the end of that, you will have read an informative booklet or book, the pages of which continue to be written. Once completed, perhaps it could be called, The Great World Tragedy in America. Also be encouraged that the one testified of, “In the beginning” and at the end of this Earth’s book has further plans for it and especially for His Own in it – we would pray for America and put ourselves on the line for it. 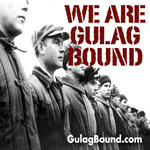 Permission granted to repost this article with backlink to it’s location in GulagBound.com.